Throughout Miracle Network Dance Marathon’s 27-year history, and on each of the nearly 30o college and university campuses that host Dance Marathon events, sorority chapters have had an incredibly significant impact on local Children’s Miracle Network Hospitals through their fundraising efforts. In 2017, Miracle Network Dance Marathon programs collectively fundraised over $37.6 million for 111 local CMN Hospitals. From that total, 1,047 individual sorority chapters from the 26 National Panhellenic Conference member organizations collectively raised over $8.65 million* for the cause. Keep reading below to see the organizations listed based on their collective Dance Marathon fundraising efforts from 2017! To see how inter/national men’s fraternity organizations are involved in Dance Marathon, click HERE. 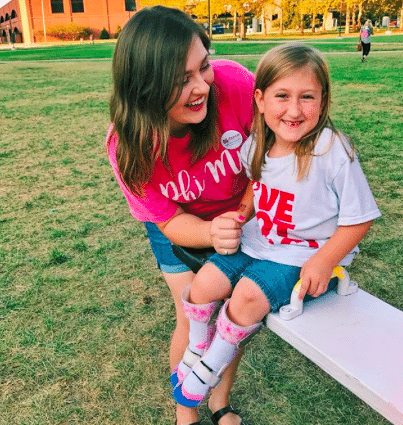 Phi Mu has been a national partner with Children’s Miracle Network Hospitals since 1984, raising over $16 million through their philanthropic activities. So it is no surprise that chapters have been actively involved in their campuses’ Dance Marathon programs. In 2017, Phi Mu teams at 66 different campuses collectively raised $1,026,171 through Dance Marathon! Their chapter at the University of Georgia was the highest fundraising chapter, raising over $187,900 for UGA Miracle at their event in February 2017. The Phi Mu chapters at Florida State University ($76,301), the University of South Carolina ($55,574), the University of Alabama ($53,370) and Kennesaw State University ($52,370) rounded out the top 5 fundraising chapters from 2017, each making an incredible impact toward their local hospitals. 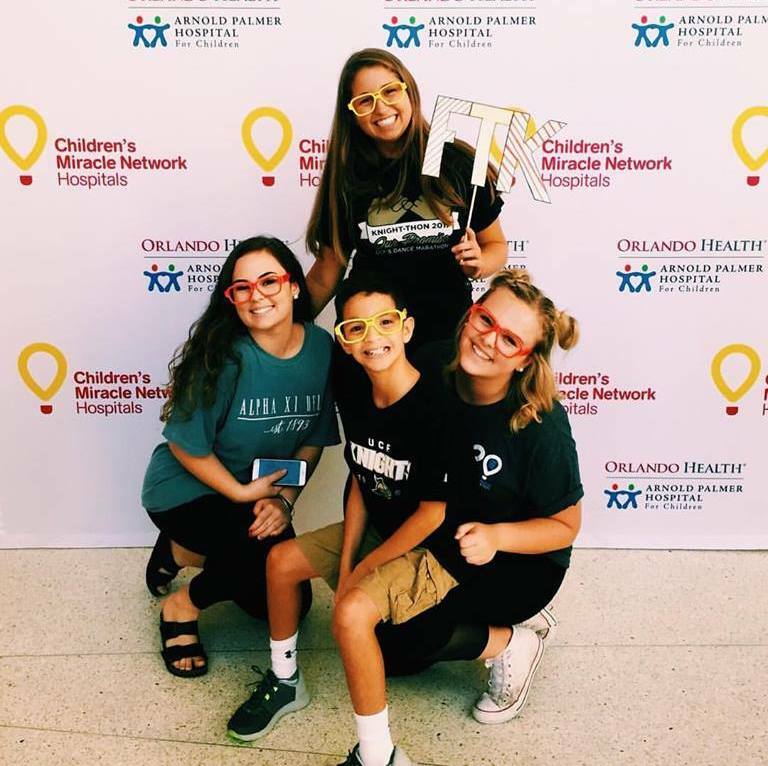 Many Phi Mu chapters have also been responsible for starting new Miracle Network Dance Marathon events on their campuses and have been instrumental to the program’s success. This year, Phi Mu chapters at the following campuses were responsible for fundraising more than 50% of their campus’s overall fundraising total: James Madison University, Christopher Newport University, Nicholls State University, Florida Gulf Coast University, University of California-Merced, University of Washington, Tulane University, California State University-Stanislaus, and Jacksonville State University. This past year, 52 Delta Gamma chapters participated in Miracle Network Dance Marathon programs, collectively raising $568,761 for local CMN Hospitals. 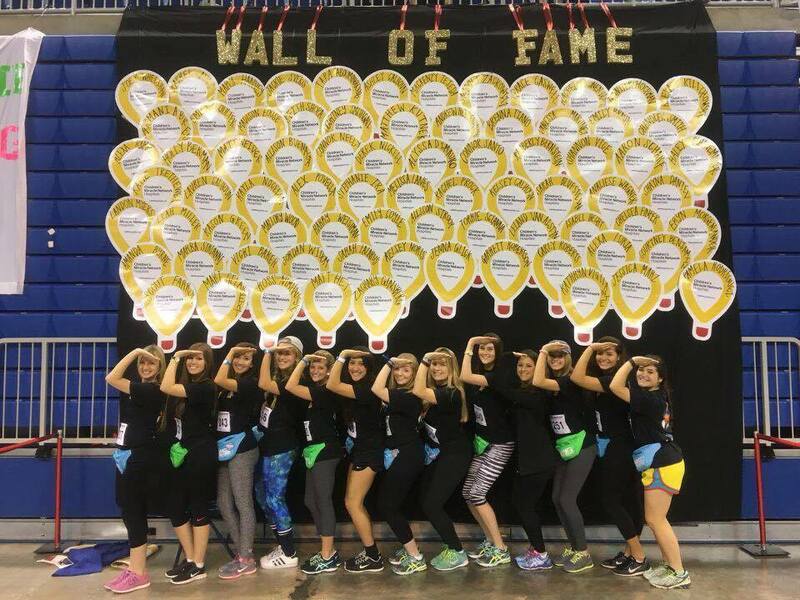 The Delta Gamma team at the University of Florida was the highest fundraising individual fraternity or sorority team in the nation, raising $198,375 for UF Health Shands Children’s Hospital in Gainesville, FL. The remainder of the top five fundraising Delta Gamma teams include: University of Connecticut ($57,322), Florida State University ($54,359), University of Georgia ($31,908) and University of Oklahoma ($28,707). 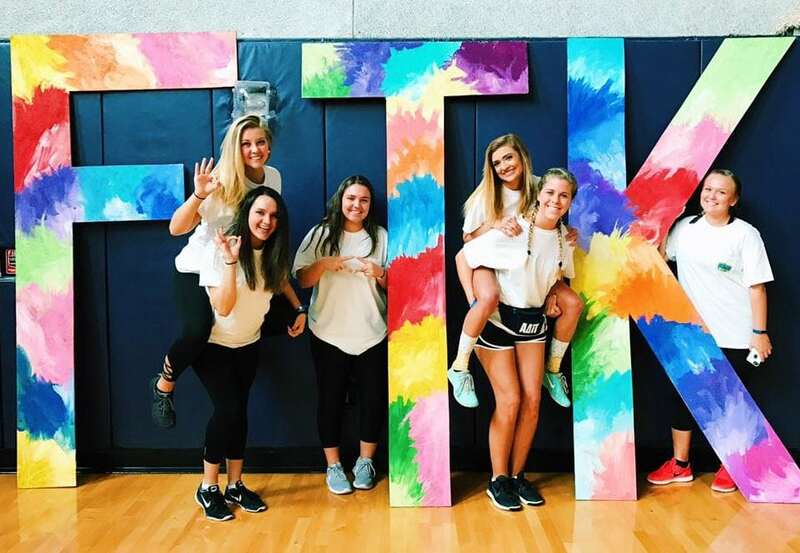 The chapter at the University of North Texas was the highest fundraising Delta Gamma team by percentage, raising 13% of their campus’s overall total. In 2017, 58 Kappa Delta chapters fundraised for Dance Marathons, raising a total of $537,188. Kappa Delta has had a connection to children’s hospitals since it’s early years as an organization. The founding chapter of Kappa Delta was established in 1897 at State Female Normal School (now Longwood University) in Farmville, Virginia and, in 1921, the women established a philanthropic relationship with Children’s Hospital of Richmond at VCU, making it their first national philanthropy. This past year, the Kappa Delta team at the University of Florida fundraised over $125,000 for their local children’s hospital–UF Health Shands Children’s Hospital. Women at the University of Georgia ($66,583), Florida State University ($53,517), University of Central Florida ($34,529) and Vanderbilt University ($18,807) helped their chapters become part of the top 5 fundraising Kappa Delta teams. Equally as impressive, the chapter at Illinois Wesleyan University raised 25% of their campus’s overall Dance Marathon total. 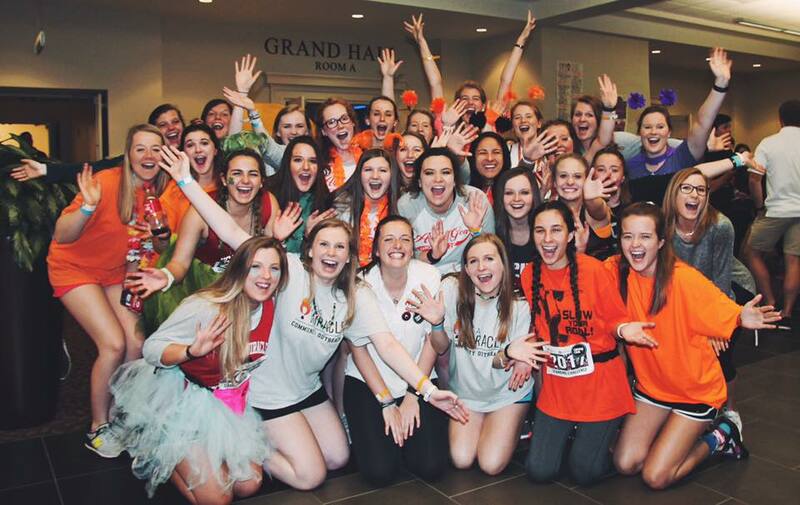 60 chapters of Alpha Chi Omega supported Dance Marathon, raising $508,685 in 2017. The chapter at Stetson University was the highest fundraising Alpha Chi Omega team by percentage, raising 18% of their campus’s overall total. 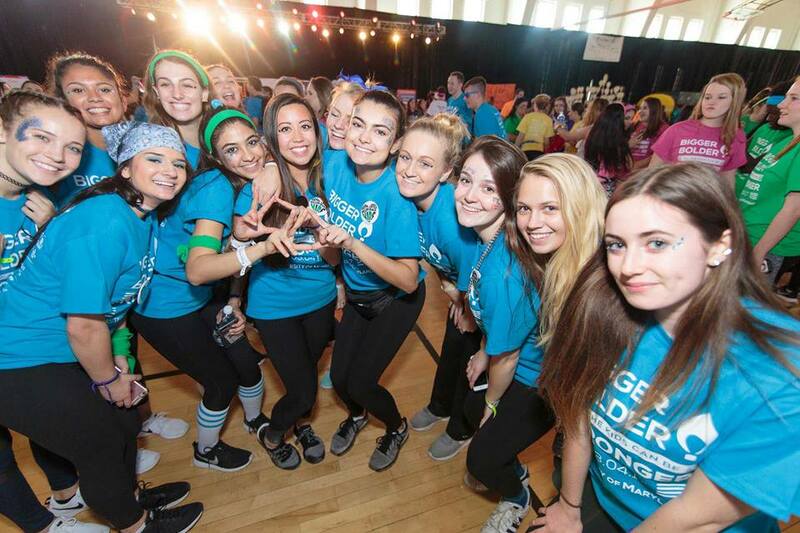 The chapters at the University of Massachusetts, Amherst and Marquette University also made significant impacts in their campuses’ fundraising efforts, raising 12% and 11% respectively. 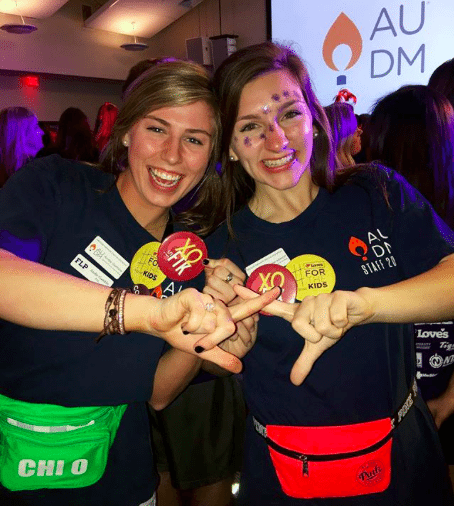 Proving themselves as “leading women,” members in 55 chapters of Kappa Alpha Theta participated in Dance Marathon in 2017, raising a collective $493,143 for their local children’s hospitals. 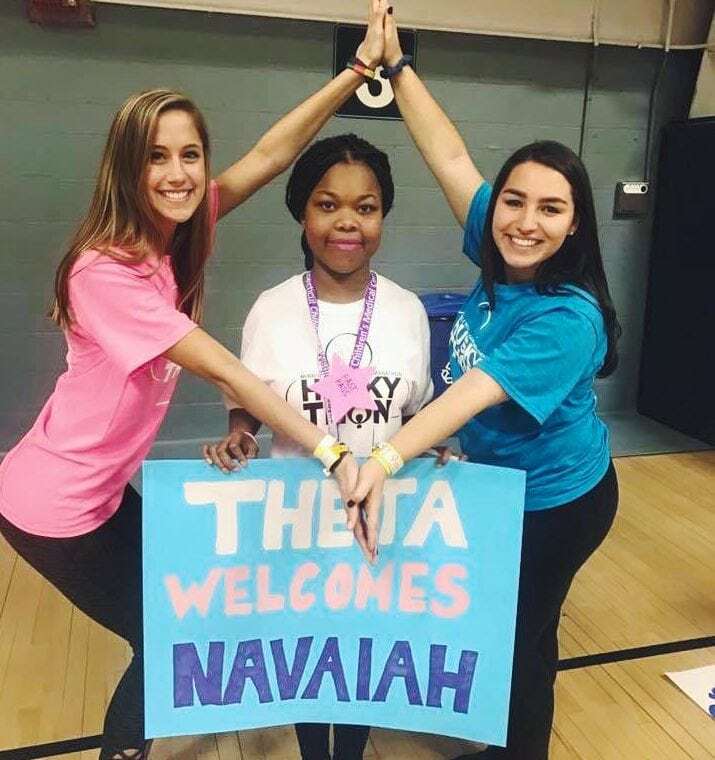 The team of women at the University of Connecticut was the highest fundraising Kappa Alpha Theta team, raising $58,604 for Connecticut Children’s Hospital. The teams at the University of Florida ($54,699), University of Iowa ($51,472), Vanderbilt University ($49,932), and Florida State University ($30,422) made up the rest of the top five fundraising Theta teams. The chapter at Vanderbilt was also the highest fundraising Kappa Alpha Theta team by percentage, raising an incredible 18% of their campus’s overall fundraising total. The Thetas at Stetson University (17%) and College of Charleston (10%) also made significant contributions to their campuses’ fundraising. 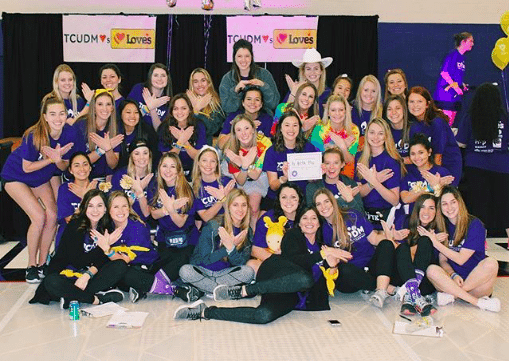 Chi Omega had 64 different chapters participating in Dance Marathon programs last year, making them the second most involved Greek organization in the nation (just behind Phi Mu), raising a collective $479,539. 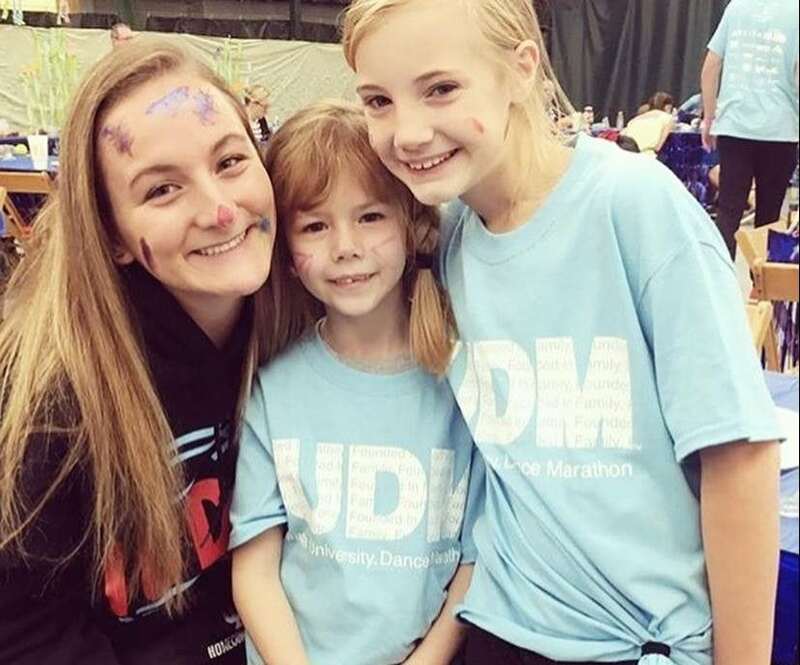 The Chi Omega chapter at the University of Iowa also had 17 sisters run in the Chicago Marathon last fall to help them fundraise for their campus’s Dance Marathon. The women at New Mexico State University were the highest fundraising Chi Omega team by percentage, raising 21% of their campus’s overall fundraising total, followed by Coastal Carolina University (20%) and University of South Alabama (13%), which hosted its first Dance Marathon in 2017. 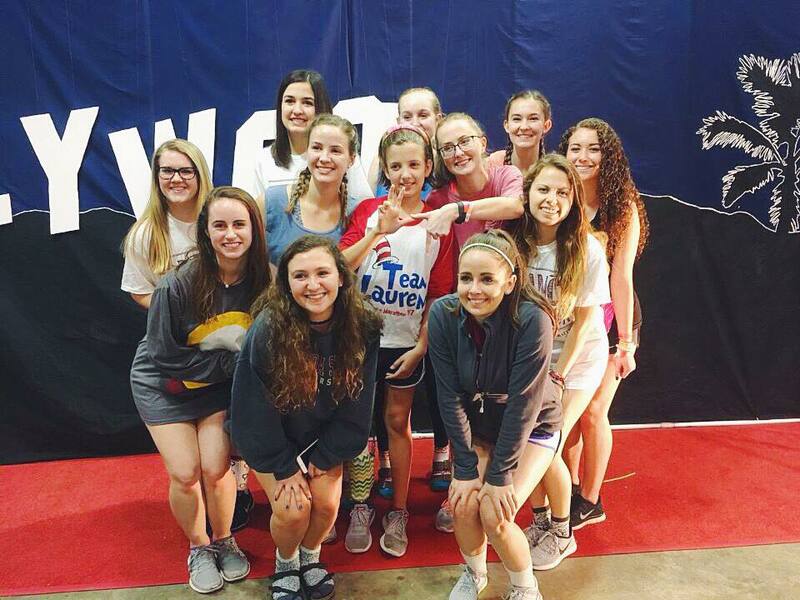 A total of 56 chapters of Pi Beta Phi participated in Dance Marathons this past year, raising $461,090 for their local CMN Hospitals. After raising $59,653, the team at the University of Florida was the highest fundraising Pi Beta Phi team, followed by University of Georgia ($38,043), University of Central Florida ($32,690), Indiana University ($29,142) and Florida State University ($26,508). The chapter at Texas Christian University was the highest fundraising Pi Beta Phi team by percentage, raising 15% of their campus’s overall fundraising total, followed closely by the Pi Beta Phi teams at Valparaiso University (11%) and University of South Dakota (10%). With 45 chapters participating, Alpha Omicron Pi members raised $451,678 for local CMN Hospitals through Dance Marathon in 2017. 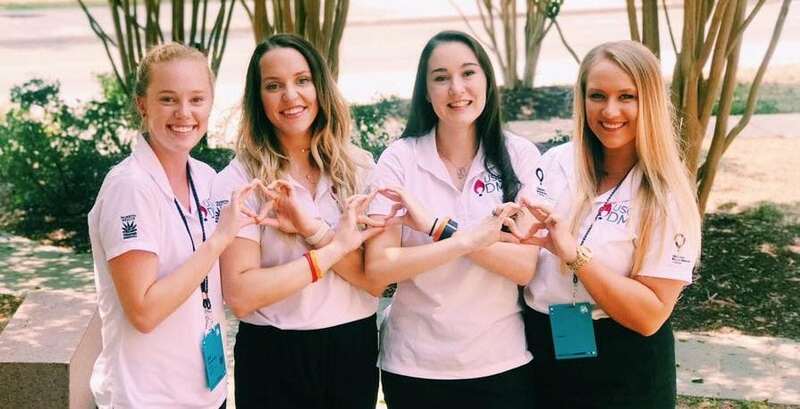 The University of Florida chapter was the highest fundraising Alpha Omicron Pi chapter, raising just over $60,000, followed by Florida State University ($50,702), Auburn University ($48,741), University of Georgia ($48,029) and University of Maryland ($36,976). In terms of the highest fundraising chapters by percentage raised, the women at Texas Christian University led the way, raising 14% of their campus’s overall fundraising total, followed by the team at the University of Mississippi, which raised 12% of RebelTHON’s overall total. Gamma Phi Betas from 45 different chapters across the country came together to raise $427,498 through Dance Marathon events last year. The women at Florida State University raised $63,325, making them the highest fundraising Gamma Phi Beta team. 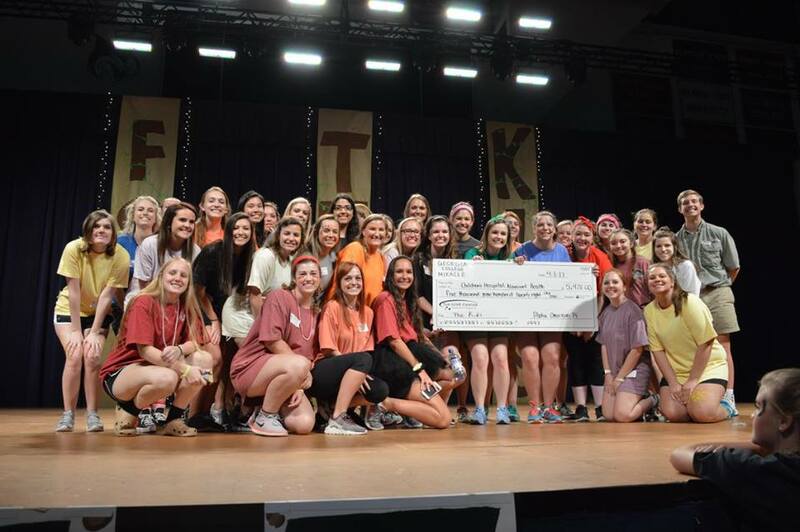 University of Florida ($44,151), University of Alabama ($25,233), University of Connecticut ($23,139) and University of Georgia ($22,989) rounded out the top five fundraising Gamma Phi Beta teams. The team at Loyola University New Orleans were the highest fundraising Gamma Phi Beta team by percentage, raising 21% of their campus’s overall fundraising total, followed by Valparaiso University (17%) and California State University, Fullerton (15%). As a national philanthropy partner with the Ronald McDonald House, the women of Alpha Delta Pi certainly understand the needs of local children’s hospitals and the children and families being treated at them. It’s no surprise that 61 different chapters also made efforts so support CMN Hospitals through Dance Marathon, raising a collective total of $422,646 in 2017. The Alpha Delta Pi team at the University of Florida was the highest fundraising team in their organization, raising $67,971 for their local hospital. The remainder of the top five fundraising Alpha Delta Pi teams include: University of Georgia ($51,994), University of Iowa ($35,886), Florida Atlantic University ($22,114), and Florida State University ($19,305). 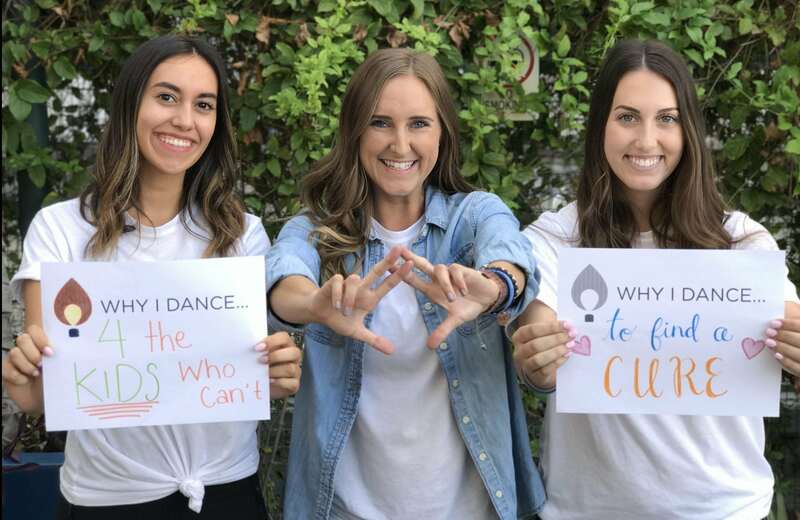 Alpha Delta Pi women led the way in a number of Dance Marathon programs this past year, with several chapters raising significant percentages of their campuses’ overall fundraising totals, including University of West Florida (18%), Augusta University (17%), Coastal Carolina University (15%), Middle Tennessee State University (11%) and University of Kansas (10%). 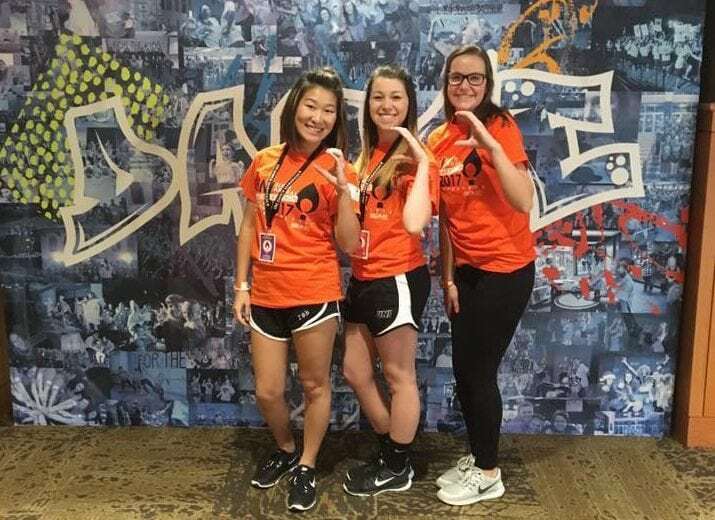 Miracle Network Dance Marathon is an international movement, involving students at over 400 colleges, universities, and K-12 schools across North America that fundraise for their local Children’s Miracle Network Hospitals. Since its inception in 1991, Miracle Network Dance Marathon has raised more than $217 million–ensuring that no child or family fights pediatric illness or injury alone.